Avoid the added cost of windshield replacement by having chips in your windshield repaired before the power of cold weather can turn them into cracks. Did you know that most cracks in windshields require that the windshield be replaced? You can avoid that problem by being proactive in taking care of any chips in your windshield. For all of your Minneapolis windshield replacement services contact Only 1 Auto Glass and let one of our Auto Glass Techs come repair or replace your windshield. We are a company that accepts either insurance or cash as payment for services. If your auto policy covers auto glass replacement or repair then we can help you take care of the paperwork involved in filing a claim. If you do not want to use your automobile insurance we also accept cash. Some clients are concerned that filing an auto insurance claim will cause their insurance rates to be increased. For those clients, we accept cash for all of our Minneapolis auto glass work. There is no need to take time off of work to deal with your pitted windshield. If your windshield has chips in it, we will come to your home or to your place of work and repair the chips before they become cracks. The same service applies to cars who need their windshield replaced. We make it easier for you to have a new windshield or to have windshield repair services done on your car, truck or SUV. Why focus on windshield repair before winter? 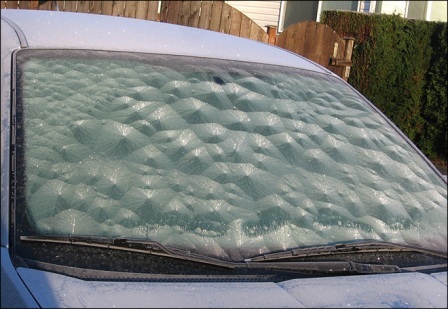 Winter weather has a negative affect on auto glass that has chips in it. A cold snap or freezing weather can very easily cause a chip to expand into a crack. Most cracked windshields need to be replaced. A crack in your windshield is a structural problem that can be dangerous. Most people do not realize that their windshield is part of the structural integrity of their vehicles roof. The front and rear windscreens add stability to the roof and when those pieces of glass have chips or cracks in them they begin to lose their integrity and decrease the stability that they provide. Always get chips fixed before winter sets in because where chips can be repaired, cracks almost always mean the added cost of replacing your windshield. Why Chose Only 1 Auto Glass? In St Paul Auto Glass repairs are common. We offer our clients over 200 years of auto glass experience. We use auto glass technicians that are trained to work on all types of vehicles. We provide the best tools and the training to ensure that each of our technicians has the experience using those tools. We take pride in our work because we love cars, and we understand that your car is important to you. We are also a green company. We make sure that your broken windshield is recycled so that those resources can go back into the industrial system and come back again as another product. Most recycled glass becomes insulation for buildings. We offer our customers a guarantee. We want you to be as happy with our work as we are. We hold a National Auto Glass Association membership and are well ranked by the BBB. We have been providing auto glass service to St Paul and Minneapolis for years. If you would like a quote, or if you have questions about how our auto glass repair service works, just call us. We are always willing to answer your questions or to provide you with a quote for services. If you have an insurance claim that you need help with, we can work on that for you. As a last reminder, before winter kicks in, get your windshield chips repaired. « Which Brand Of Windshield Wiper Fluid Is The Best?